Juventus v Ajax had the promise of plenty of drama as the Italians were trying to hold off a goal-hungry and very young Dutch side. 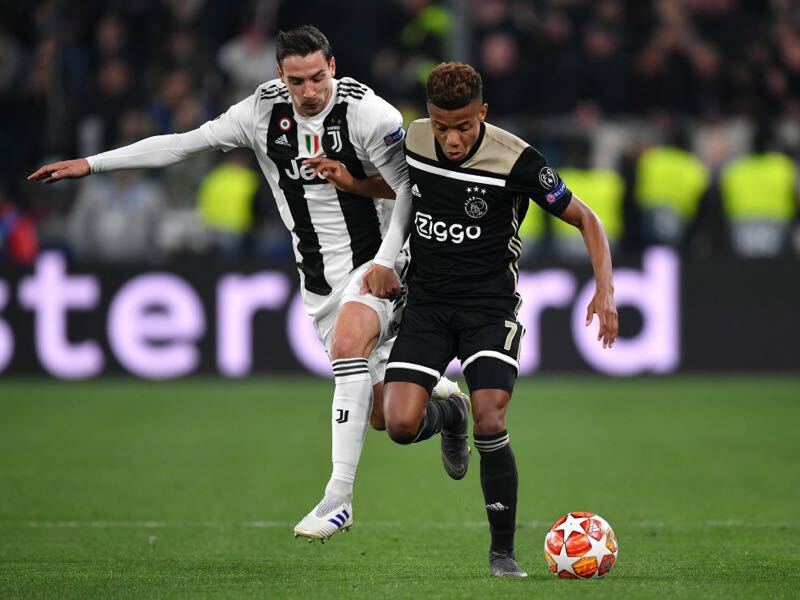 Although Ajax showed their inexperience at times they got the result they needed to write history and advance to the semifinals of the competition. Dutch goal machine writes history. It was a fascinating start to this game as Juventus lined up in a 4-3-3 formation, seemingly to counter Ajax’s possession football. It was a strategy that paid off in the opening stages as the Dutch were completely nullified to start the match. Not that Juve produced much in the attack either. Nonetheless, it was the Italians that had the first chance of the game with Paulo Dybala testing André Onana with a shot from 18-yards. Juventus, however, have Cristiano Ronaldo and the Portuguese striker once again scored out of nowhere in the 28′ minute with a free header. The goal was quickly checked by VAR as Ajax protested a foul in the box, but the goal stood. Ajax, however, were only briefly shocked. The Dutch kept pressing, and in the 34′ Donny van de Beek scored the equaliser. A shot from Hakim Ziyech found its way through Juve’s defence leaving van de Beek open to score from just 15-yards out. The goal meant we were back to square one as the first half came to a close. Overall, it was a tight affair in the first 45 minutes in which Ajax were more than equal to the Italian giants. Ajax started the second half with the freedom created by confidence and had the first chance of the second interval. In the 52′ minute David Neres broke away in midfield spotted van de Beek on top of the box, the central midfielder laid the ball off to Hakim Ziyech, the Moroccan was clear through but Wojciech Szczesny came up with a magnificent stop. It was brilliant slick football by Ajax at times during the first ten minutes of the second half. Szczesny, however, kept Juve in it, making another brilliant stop on a curled effort by van de Beek in the 58′ minute. At this stage, Ajax had chance upon chance, and it appeared only a matter of time for the Dutch to score the second goal. The goal finally arrived in the 65′ minute. 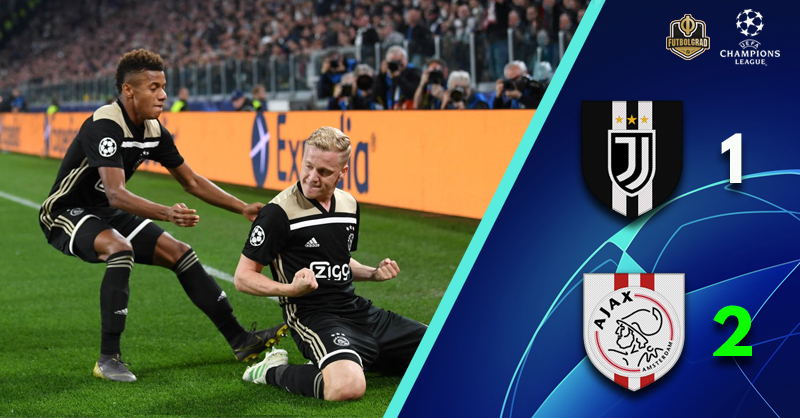 Ajax had left chance upon chance from open play but found the goal from a corner with Matthijs de Ligt scoring a great headed goal to open the door to the semifinals for the Dutch. Overall, it was brilliant football displayed by Ajax, and it felt like there were more goals in the side. David Neres in the 75′ was clear on goal but missed the target then in the 79′ minute, Ziyech had a goal called back for offside, and Lasse Schöne failed to hit the target with a shot from just 18 yards out in the 83′. Ajax may have failed to score the third that would have sealed it for sure. But at the same time, their attacking football kept Juve away from their goal and as time was ticking away for the Italians. In the end, not even VAR would rescue Juventus as the referee team decided against awarding Juve a penalty for an Ajax handball in the 90′ minute. David Neres was once again the man of the match for Ajax even though he did not get on the scoreboard. The Brazilian was at the source of every attack and should have had a couple of assists at least as Ziyech, in particular, failed to capitalise from the attacks instigated by the 22-year-old. Ajax have eliminated Real Madrid and Juventus to become the first club outside the top five leagues to reach the semifinals of the Champions League since 2005. Back in the 2004/05, it was also a Dutch side that reached the semifinals with PSV Eindhoven being eliminated by Milan on the away goal rule (3-3 on aggregate). Ajax, in the meantime, have not reached this stage since 1997 when Juventus eliminated them. Ajax’s equaliser was the 155th goal of the season, which equalised a club all-time record, number 156 ended up writing history. Cristiano Ronaldo has scored nine goals against Ajax in Champions League; the only team he has scored more in the competition is Juventus (10). Cristiano has scored in each of his last seven Champions League Quarter Finals games played (13 goals). Ajax is the first side from outside Europe’s top five leagues to reach the semifinal since PSV in 2005.